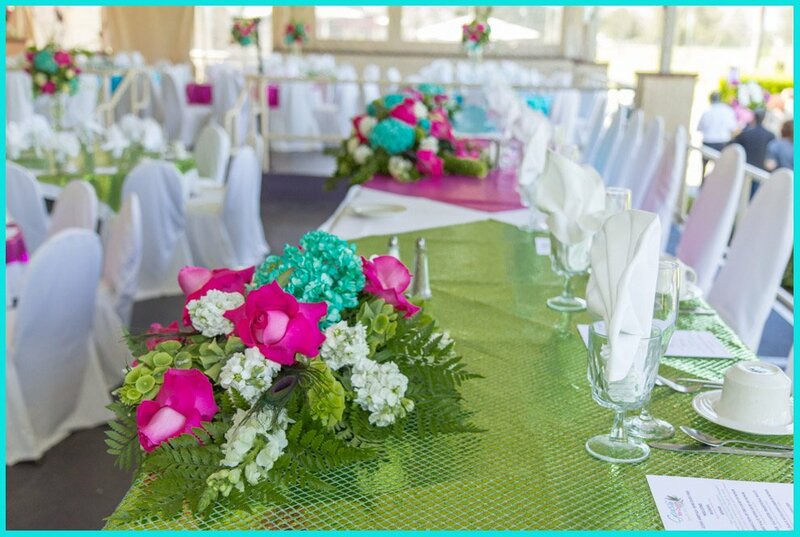 When you have your banquet or event at Almansor Court you can be assured of having an incredible experience at a reasonable price. 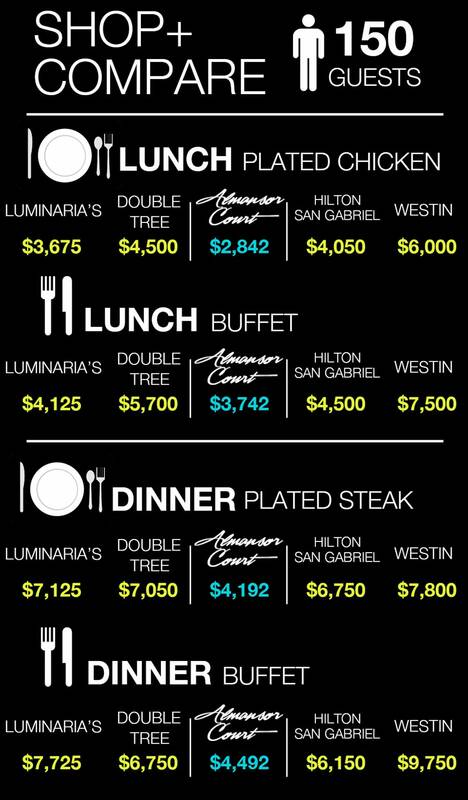 Take a look at the cost of a few events for 150 people at local venues and see the difference as of April 2013. Hosting your event here can mean inviting more friends to your wedding reception. Or a grander gift for the special birthday party. Either way, you’ll feel comfortable with what you pay here when you shop and compare. Please note that prices do not include service charge or California State Sales tax. Prices subject to change without notice.